Jon has worked in the field of aviation and tourism in Africa for 6 years, organising events around the continent. Jon is based in Manchester, UK, and has a passion for African aviation and Africa as a whole. 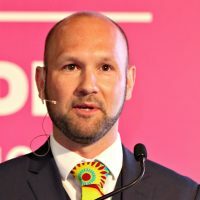 Jon founded AviaDev Africa in 2016 as a platform to bring together the African aviation community with a view to improving connectivity to, from and within the African continent. Jon is also a global ambassador for the Gorilla Organisation, a UK based charity raising funds for gorilla conservation.